The desire to move viewers out of the role of passive observers and into the role of producers is one of the hallmarks of twentieth-century art. This tendency can be found in practices and projects ranging from El Lissitzky's exhibition designs to Allan Kaprow's happenings, from minimalist objects to installation art. More recently, this kind of participatory art has gone so far as to encourage and produce new social relationships. Guy Debord's celebrated argument that capitalism fragments the social bond has become the premise for much relational art seeking to challenge and provide alternatives to the discontents of contemporary life. This publication collects texts that place this artistic development in historical and theoretical context. 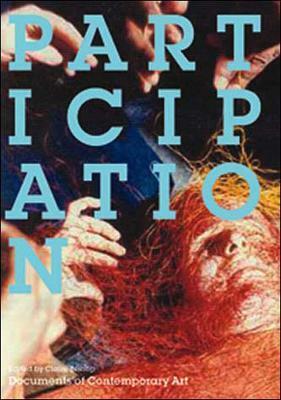 Participation begins with writings that provide a theoretical framework for relational art, with essays by Umberto Eco, Bertolt Brecht, Roland Barthes, Peter Burger, Jen-Luc Nancy, Edoaurd Glissant, and Felix Guattari, as well as the first translation into English of Jacques Ranciere's influential "Problems and Transformations in Critical Art."